We are all private equity investors now. Even if you’ve never talked to a fund manager, or don’t have any idea what a leveraged buyout is, your financial future still depends on this enigmatic world of finance, full of risks and promises usually reserved for wealthy investors. How did regular people get involved in private equity? Through the Massachusetts and Boston pension funds, which together have billions of dollars invested in PE funds. And don’t think you’re an outsider, just because you’re not expecting a state or city pension. Any shortfall in these investments would need to be made up, likely with additional tax dollars. This hasn’t been a problem in recent decades, thanks to the strong performance of private equity funds. But things may be about to change. To understand the rising risks, you don't have to know much about the unique characteristics of private equity — though we’ll get to that later. The big concern is more straightforward. In the beginning, there were only a handful of private equity firms, in an investment garden full of low-hanging fruit. But over time, the number of firms has exploded, and most of the easy money has been plucked. This is a big problem for today’s PE investors — including Massachusetts pension funds — because it means they’re liable to overpay for second-rate opportunities, which will cut into their returns. 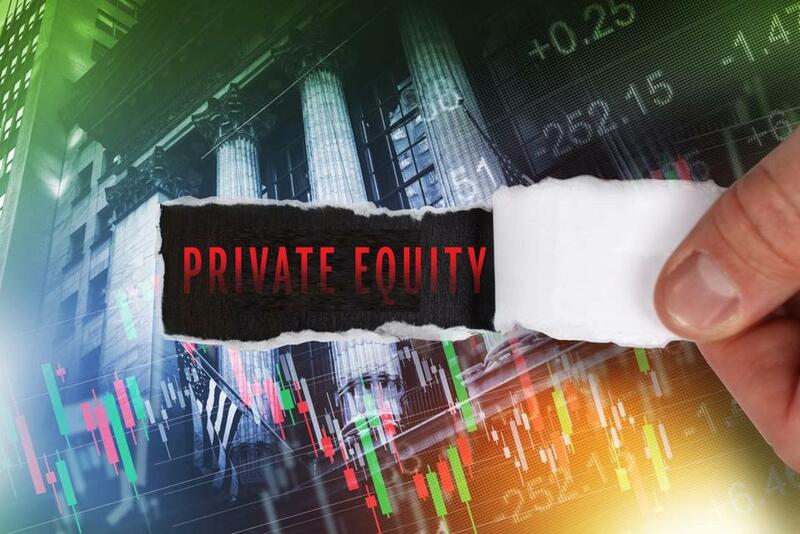 To appreciate just how crowded the private equity marketplace has become, consider that the number of active PE firms has increased more than twentyfold since 1990, from 359 to 7,775, according to a count from the research company Preqin. All those firms are looking for similar kinds of investment opportunities, which in the world of private equity often means buyouts. That’s the bread-and-butter move in the playbook. It works like this: Find a struggling company rich with future potential; buy it, using equity from investors along with lots of borrowed money; make operational changes (while exploiting the mathematical fact that debt helps amplify returns); then sell the company for a hefty profit and share the bounty with investors. This buy-fix-sell cycle (sometimes just buy-incur debt-sell) works best when you can find bargains. But with so many PE firms on the hunt, bargain bins are empty and deal prices are going up. One way to view this is to compare buyout prices with the profitability of the companies being bought. A decade ago, PE firms had to pay roughly $9 million to purchase a company with $1 million in operating profits. Today that number is $10.6 million and rising, according to calculations from the LCD group at S&P Global Market Intelligence. Of course, when PE firms pay more up front, it’s harder for them to reap a big windfall when they sell later. One consequence is that some players have just stopped buying — for lack of good options. Instead, they’re piling up more and more unused money, called dry powder. Over the last five years, the total stockpile of uninvested dry powder has increased by 70 percent, according to Preqin. In this saturated environment, it’s hard to see how today’s private equity investors can match the windfall gains of yesteryear, when private equity funds consistently outperformed market indices like the S&P 500 or the Russell 3000. Over time, the number of firms has exploded, and most of the easy money has been plucked. Even aside from weak — or potentially zero — returns, there are other risks that come with private equity investments — like the fact that once you’re in, it’s hard to get out. Private equity funds generally require a long-term commitment, often over decade or more. So if a better opportunity comes along in the interim, you’re stuck. Also, it can be surprisingly hard to determine how well your investment is actually performing. Year-by-year returns are volatile, depending on where you are in the buy-sell cycle. Beyond that, private equity firms often report their performance using a widely criticized metric called internal-rate-of-return, which isn’t really comparable to the return calculations you get for stocks or bonds. Despite these risks, key Massachusetts pension funds are actually increasing their reliance on private equity. About 11 percent of the state pension fund for teachers and state employees gets invested in private equity — and their annual plan calls for ongoing commitments of $1.5 billion to $2.1 billion per year. Boston’s retirement system has repeatedly increased its target for investments in private equity and private debt, from 5 percent in 2012 to 11 percent today. This continuing reliance on private equity poses a potential problem for all of us in Massachusetts, because there’s a weird “heads I win, tails you lose” character to pension investments. Even if the private equity returns collapse, teachers and former employees will still get their promised payouts; they’re guaranteed by contract law. But of course, in that case someone will have to make up for the losses, a responsibility likely to fall on taxpayers. Which is why we’ve all become private equity investors — because the fate of our future tax dollars depends on whether state and city pension funds are right to believe they can still get solid returns in the overstuffed world of private equity.